Though more feature-packed with everything from advanced navigation capabilities, to a huge list of possible data fields, smartphone connectivity, improved satellite receivers, and more, they also got much costlier, bigger, and most importantly, seemed less reliable over the long term. The rearview radar has a claimed 15 hours of battery life in day flash mode, or six hours in night flash or solid mode. I hate being a beta tester for Garmin. It is a deal break, add those metrics and I would have my credit card ready. I hope some test results will be posted soon. Sold my Edge 705 and Forerunner 220 recently to help fund an upgrade from my 2008 bike computer. As well as downloading a route, you can use the 'back to start' via the same route or in a straight line — handy if you need to get home sharpish. That includes Garmin Cycle Map, rider-to-rider messaging, and incident detection. On my Edge Touring when navigating the backlight wakes when there is a turn instruction and you can set the backlight delay from a few seconds up to i think 30. We have not typically sent out emails to registered users in the past for software updates. After two days of charging mine showed 85 percent charge, and then was dead after 3. It has been easy enough to export the ride and import it into Garmin Connect. For me there is definitely something wrong on the 130 and Garmin still not able to discover it. I just got the final boxed versions last night and simply ran out of time to shoot them in the light. Ghosts in the machine As much as I want to believe that Garmin has rid itself of any software demons with the Edge 130, a couple of glitches I noticed make me hesitant to celebrate just yet. So, certainly a bit bigger than that, depending on the pitch. It shows erratic numbers using a percentage datafield and battery bar icons. Seems power is a hot topic here. The 130 is for people who want to train and race. Thanks again Hi Michael, You can read below in this comment thread that some users experience a much shorter battery life than the acclaimed 15 hrs. As transfer of log files seems to be quite slow and the time extend by every single ride more stored on the 130 I was going to delete either a bunch or all. I say this because the Lezyne budget units as well a the Polar M460 all track power balance just fine. Now without dual frequency should be a lot worse, my guess is 5 meter in open field and 20 meters in urban canyon. But more importantly than that — Garmin actually just nailed it here in terms of the balance of specs to price. All were left on default data pages with basic data. I can confirm exporting the. Did my first ride on Sunday with backlight permanently on as it makes the Display perfectly readable. Well, specifically lack of feedback is really more the issue. 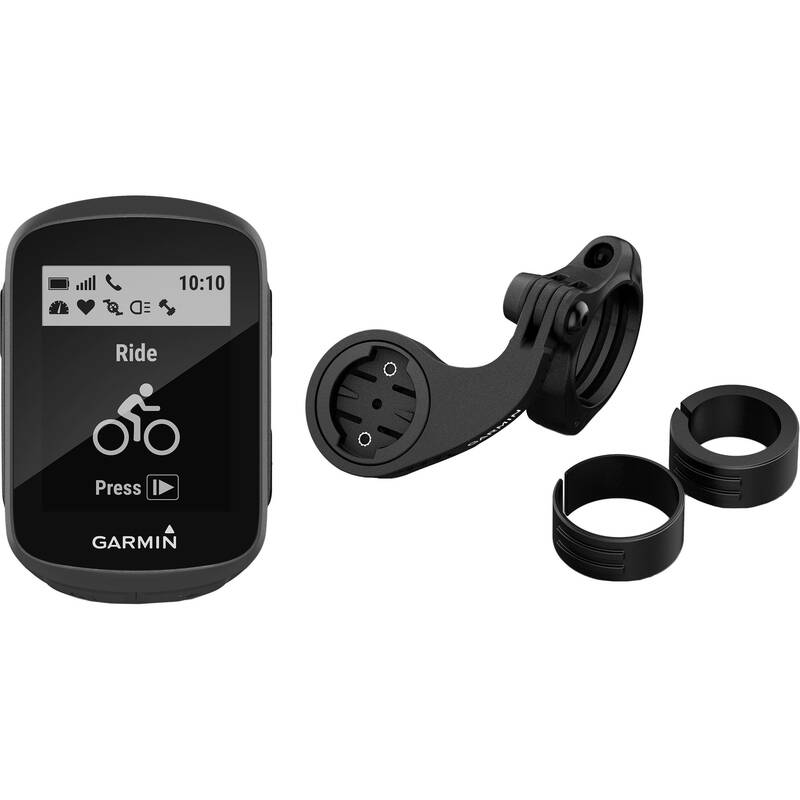 From Garmin: Simplified, rugged design with 1. Keeping backlight on 1000 permanently on with navigation, always on the map page, as well with 3 sensors keep me running 5-6 hours. In ublox power consumption with multiple frequencies increases a lot from the chip 7 single constellation and single frequence and 8 multiple constellation and single frequence to the chip 9 multiconstellation and multiple frequencies. Whereas the Edge 510, 520, and 520 Plus grew larger than the Edge 500, the Edge 130 is smaller and lighter, weighing just 33g without the mount, and measuring a tidy 41 x 63 x 16mm the Edge 500 was 57g and measured 48 x 69 x 22mm. Hi Ray, Did You ride with speed sensor? Surveyors and other professionals have had access to the technology for decades. That means no touchscreen reliability issues to worry about, plus it's good for battery life. I used the turn-by-turn directions at both the Bear 100 and Almanzo 100 gravel races as well as several long solo road rides here in the Midwest. How did you do it? If you think you will need true turn-by-turn navigation, get the 520+. 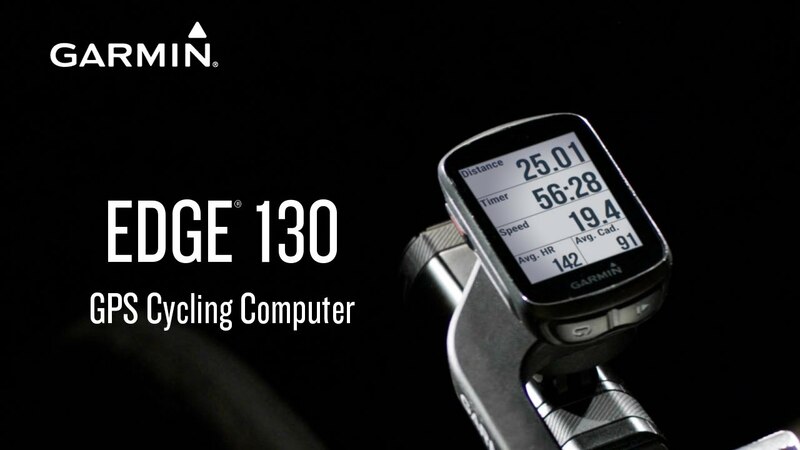 The Garmin Edge 130 can display up to eight fields on a screen. What do you know, the 130 again decided to crop this section of my ride from my file! Seems my venerable 500 will stay on my bikes until the Edge 130 user feedback improves or the Wahoo Bolt price drops here in Oz…… If you can wait, wait. During the two gravel rides I did with the Edge 130, I opted for distance and heart rate to track how much more suffering I had left and when I was on the verge of blowing up trying to keep up with faster riders. I can confirm the massive battery drain with backlight. Means the option to change map orientation is missing. I ran into the issue and the experience fairly the same as for Garmin. Not a deal breaker but annoying if you are testing different power meters or other sensors. Just in this case it seems to be an issue, as the backlight — assuming not issue with battery or software — only last 2,5 hours. The issue is the unusual massive power drain by it. No, this actually packs in a crapton of stuff. It was connected to my cell phone via Bluetooth, but the phone was not with me during the approx 30 minute laps. I'm fortunate to be in a rural area without tree cover or tall buildings to interfere with the satellite signal so things may differ in an urban environment. Maybe a good solution could be to produce a separate gps sensor. Long time required to get initial fix. Keep up the great work! I do miss the traditional side-by-side size comparisons, but bike radar had a picture with it next to the 520. Charging in use is also absolutely vital. Garmin answered my support request. Also, the Edge 130 occasionally gives phantom turn indications, but fortunately, the map is there to help you stay on course. Saw a video of a german Garmin dealer testing the 130 on a long ride. Please have the firmware looked at for the issues. In addition to forward-facing navigation, it can also route you back to the start, mid-ride. Performance like this is definitely worth calling out in your review. I will post the change history below: Changes made from version 2. It can be hit or miss; for countryside riding it's doable, but in urban and city areas I found it tricky when you get to a roundabout with lots of possible exits.